For something as large and prominent as a garage door, it’s easy not to think about until it no longer provides the protection you’re accustomed to. 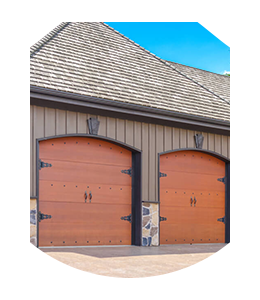 Besides being a place to park your car, your garage door keeps intruders out and protects your equipment and the rest of your property from harsh weather conditions. It is unsettling when your garage door is damaged or stuck in the open or closed position. The situation can escalate quickly when you’re unable to find help at the moment you need it. You probably don’t know why your garage door doesn’t work properly and you may not even care about this. That is our job to figure out. You just know that you need it to be in the same condition it was before a part broke or it sustained damage. Our service technicians come prepared to expertly assess the situation and start working on a solution as soon as they have determined the problem. We are respected in Chicago, IL community because we are a company that keeps its word. Over the years, we have enjoyed getting to know our residential and commercial clients while providing them with a much need service. After all these years, you might think that we look at every garage door repair or installation job the same. That couldn’t be further from the truth. We know that each job is unique and deserves a customized approach. This is why we come prepared to deal with anything. Weatherstripping is a quick and easy process that keeps moisture, cold and warm air, heavy winds, and all other weather effects out of your garage. 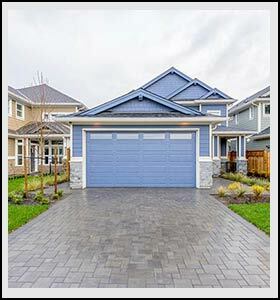 After the installation of a new garage door, there is typically a gap of a few centimeters to a few inches on the sides and bottom where it doesn’t fully meet the wall. Sealing these areas with weatherstripping means that nothing can get in or out, which allows for much greater energy efficiency. When your garage is drafty or too hot, you want to get in and out of it as quickly as possible. Weatherstripping makes the inside conditions comfortable so you can spend time in the garage as necessary. If your energy bills are higher than you would like or the garage is not a place where you want to spend any time due to a lack of temperature control, consider weatherstripping services with Interstate Garage Doors.